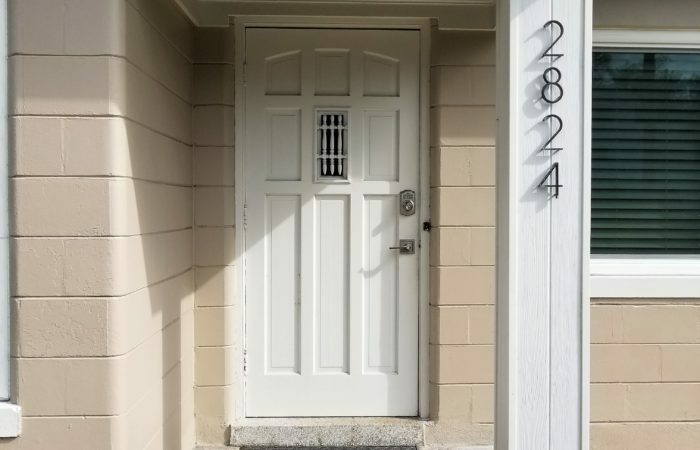 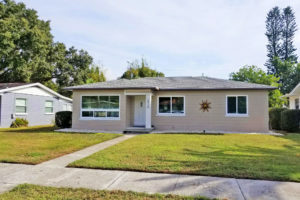 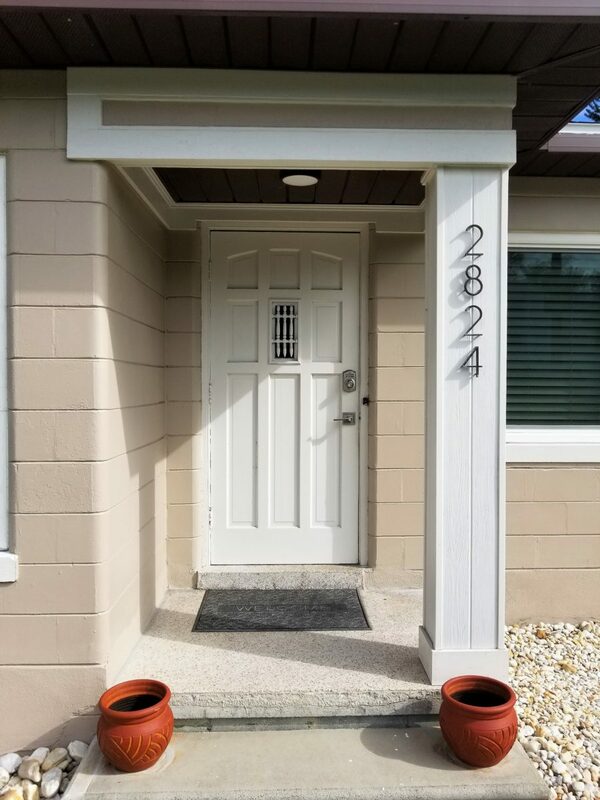 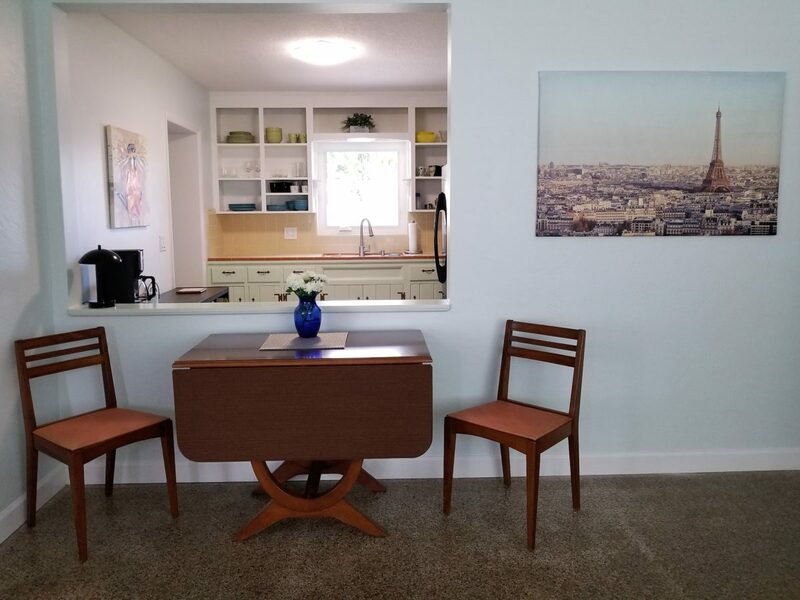 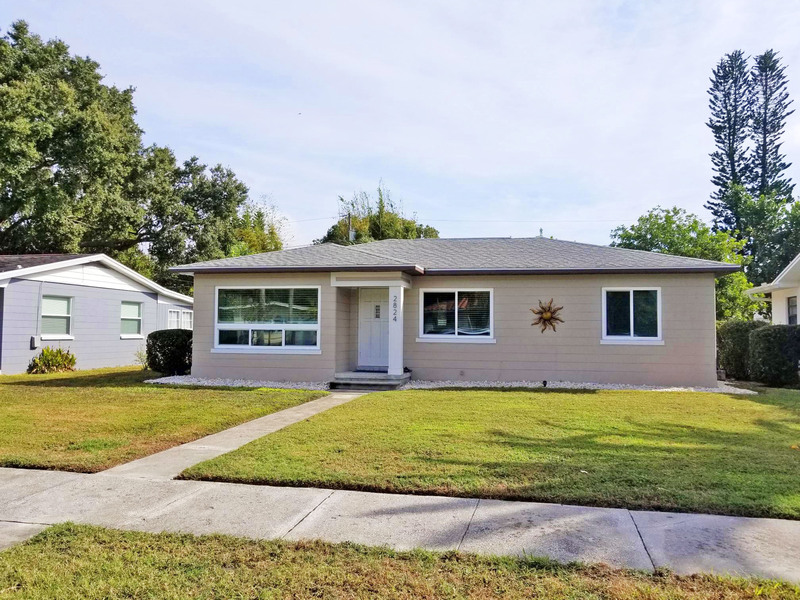 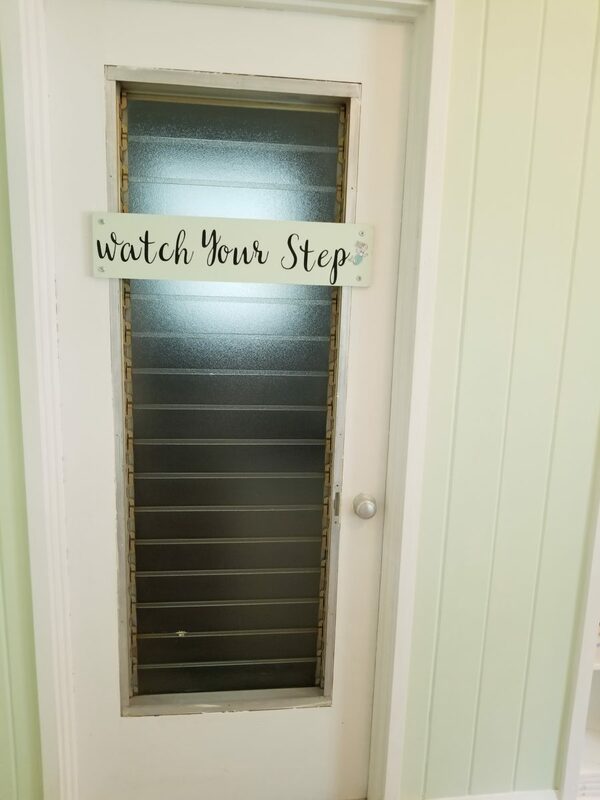 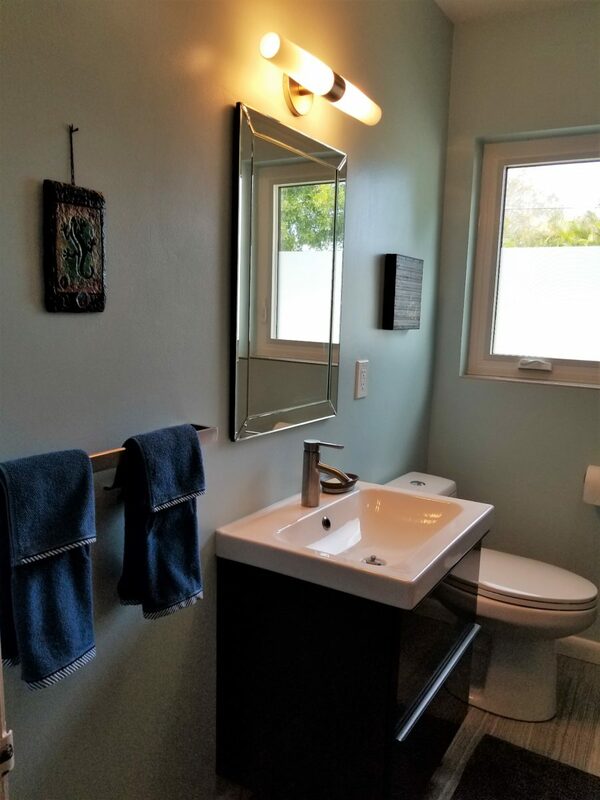 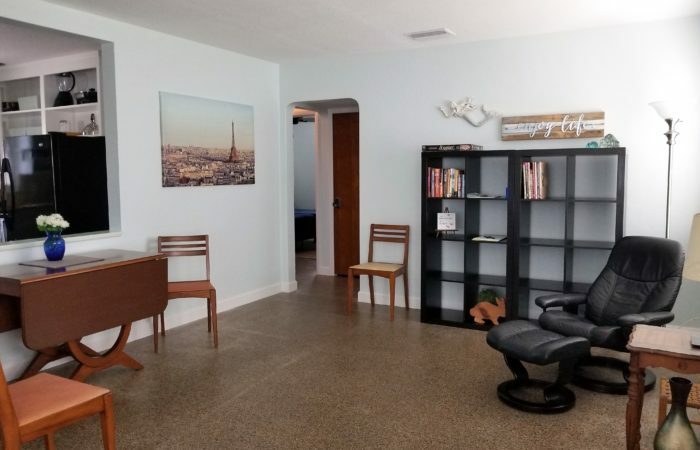 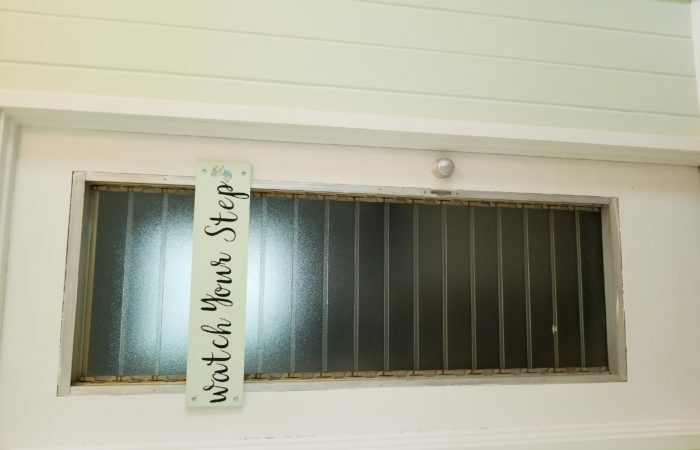 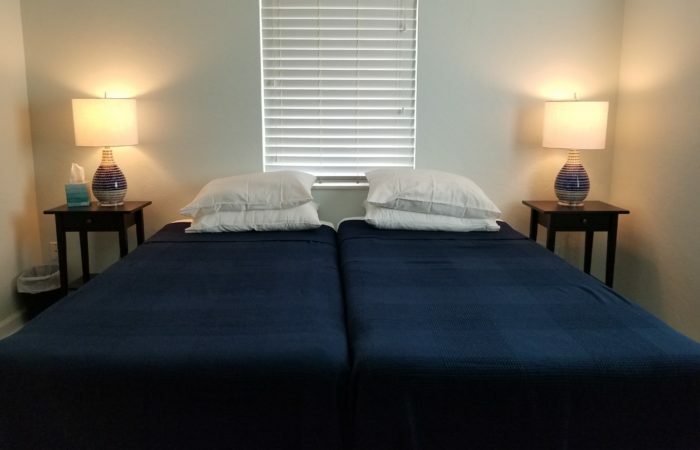 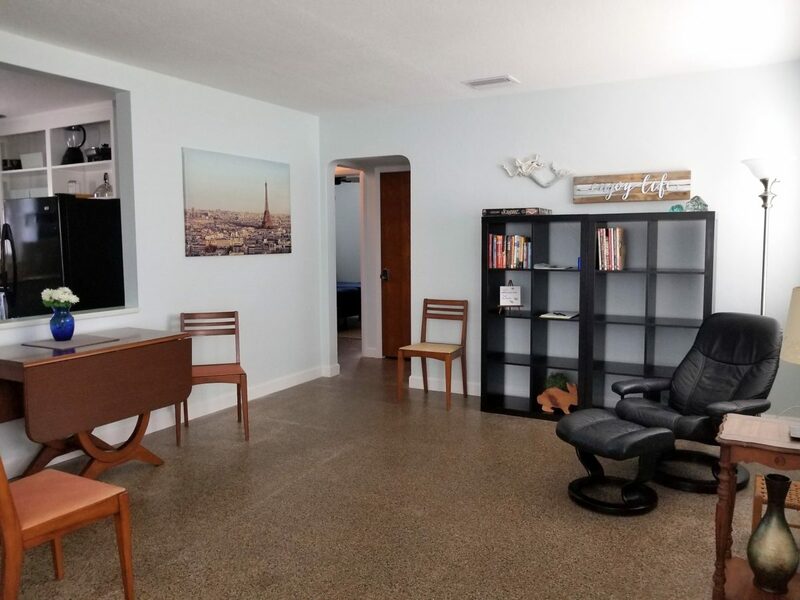 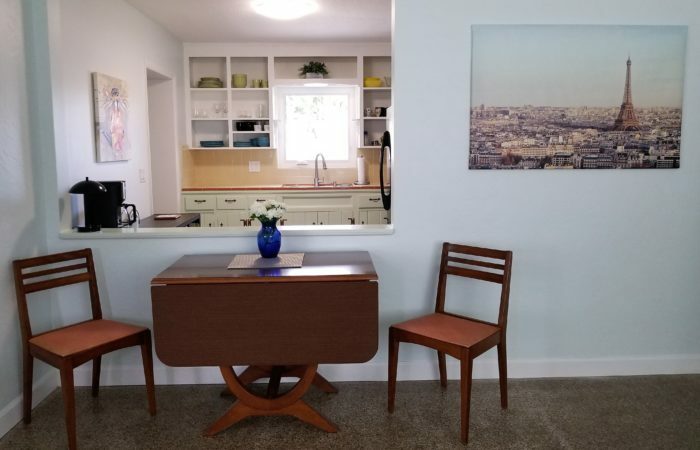 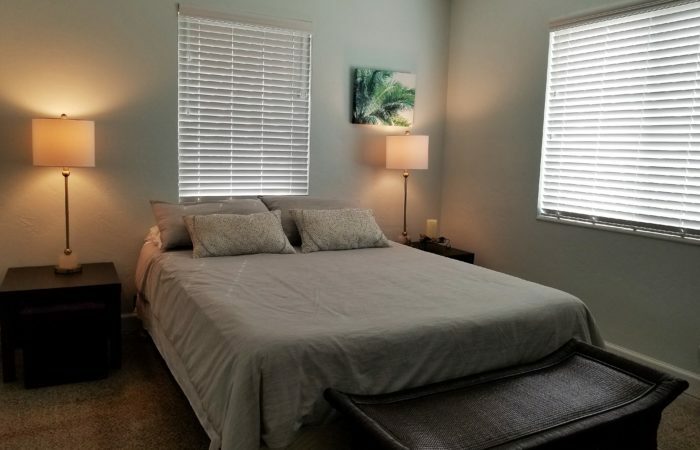 Eco-touristic, vacation home in the beautiful marina district of Gulfport, just a 5 minute drive to downtown, 15 minutes to St Pete Beach, the best opportunity to feel the genuine Gulfport experience but not be right in the middle of it all. 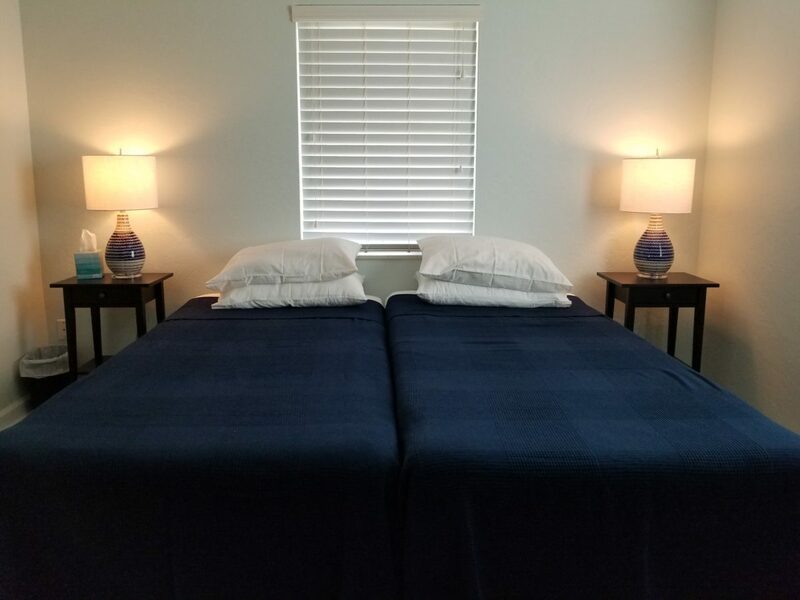 Our owners have created the same place that they would like to spend time, when they go on vacation. 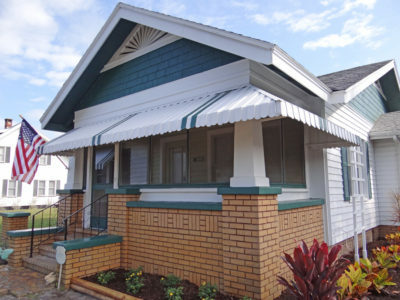 The home is decorated with all the modern amenities yet still has that old Gulfport feel. 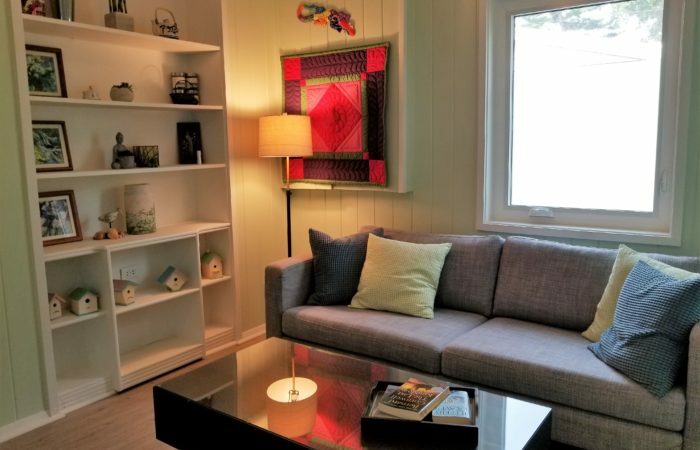 The owners have created a whole new look and feel for this delightful restored cottage. 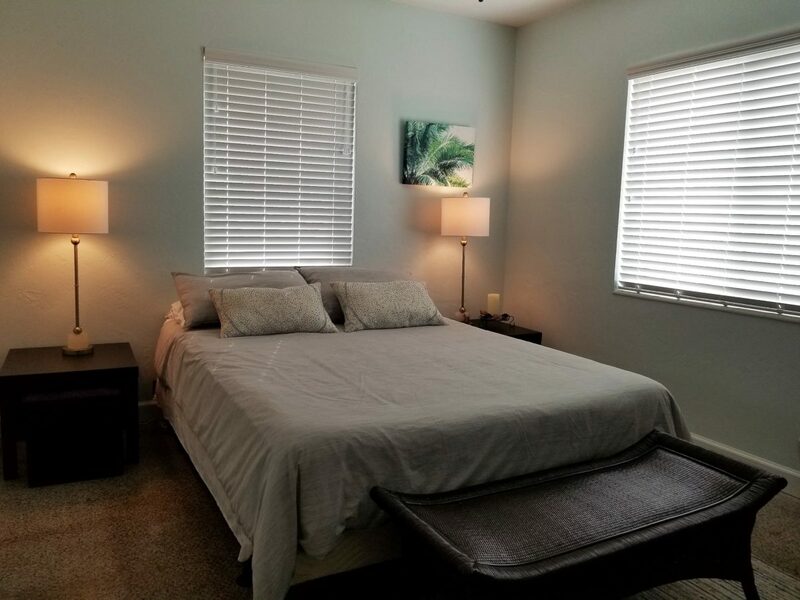 This two-bedroom one bath home offers queen beds, new bedding, ample closet space and spa like bathroom. 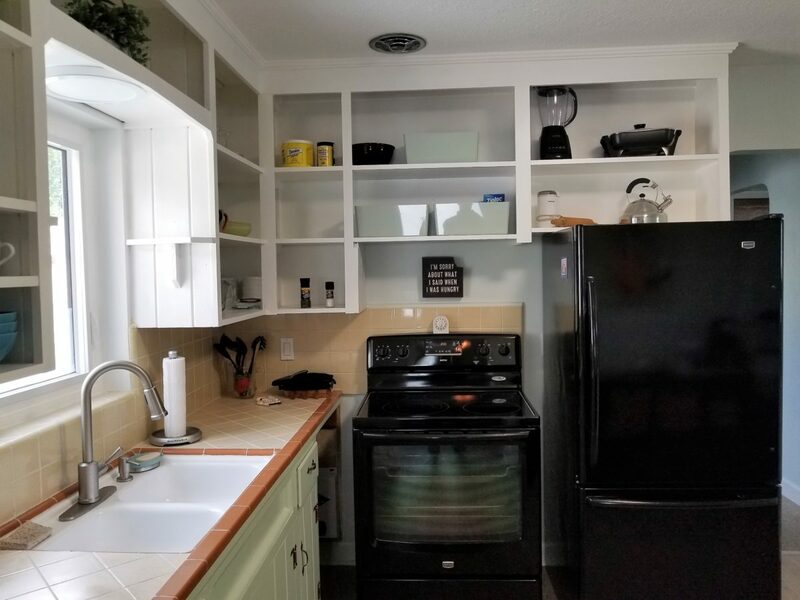 The kitchen is fully equipped with all you need to create a scrumptious dinner at home or make a simple al fresco meal to take to the beach. 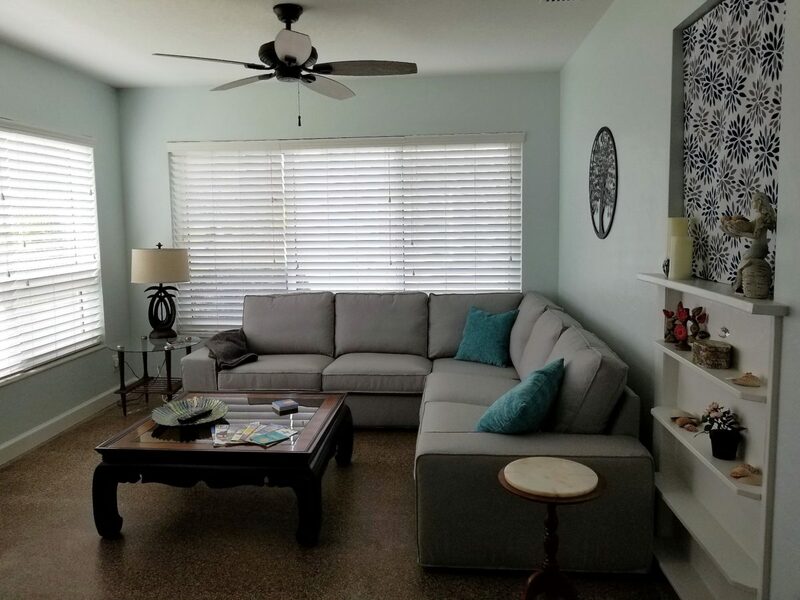 The open living area offers bistro seating and a comfy sofa for you to curl up and read a book or watch your favorite show on the flat screen television. 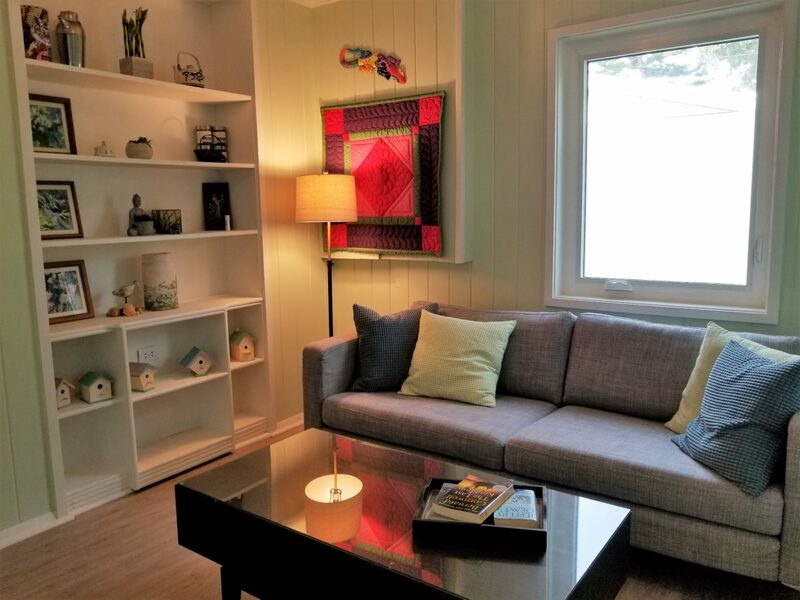 Wood floor throughout with a bonus room off the kitchen that is a perfect place to relax and unwind after a long day. 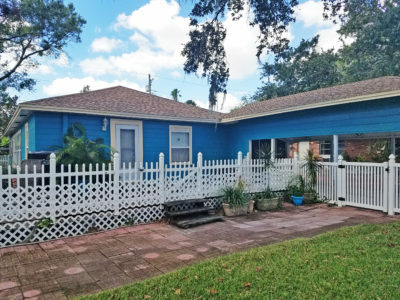 Outside has a private yard to sit and enjoy the Florida weather. 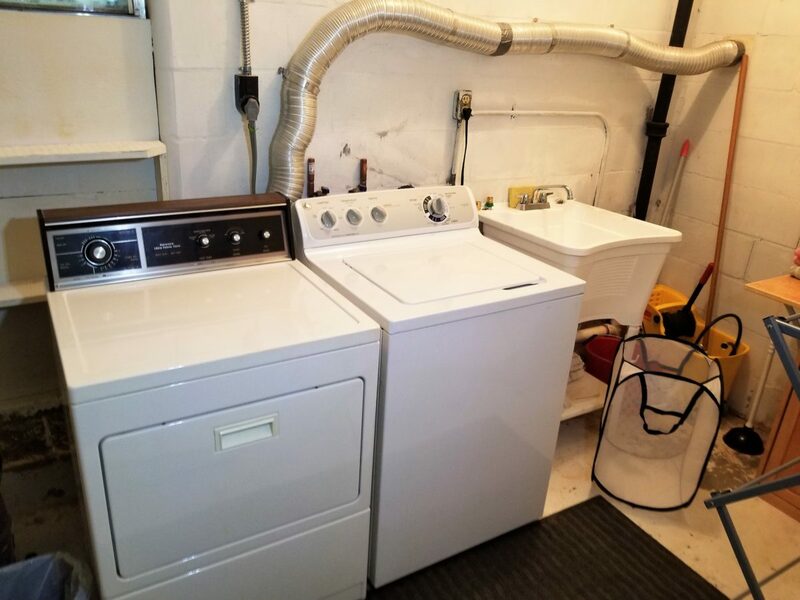 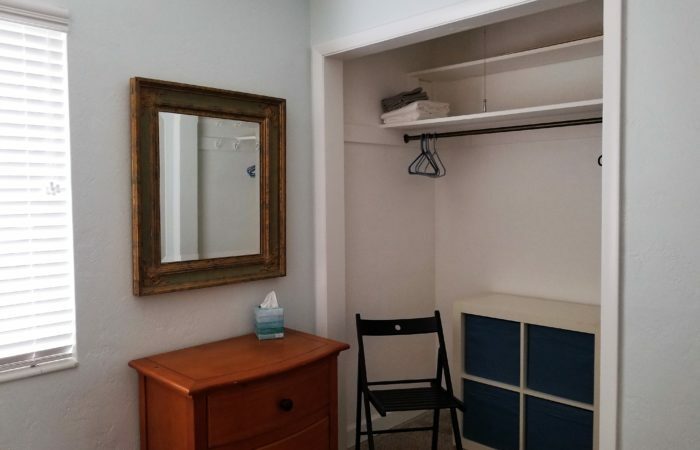 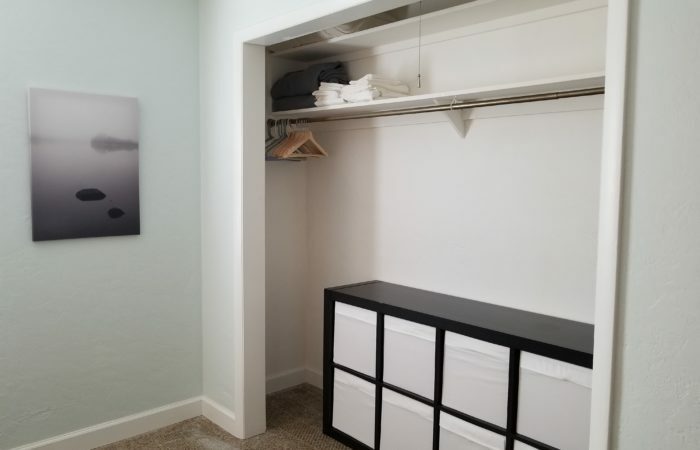 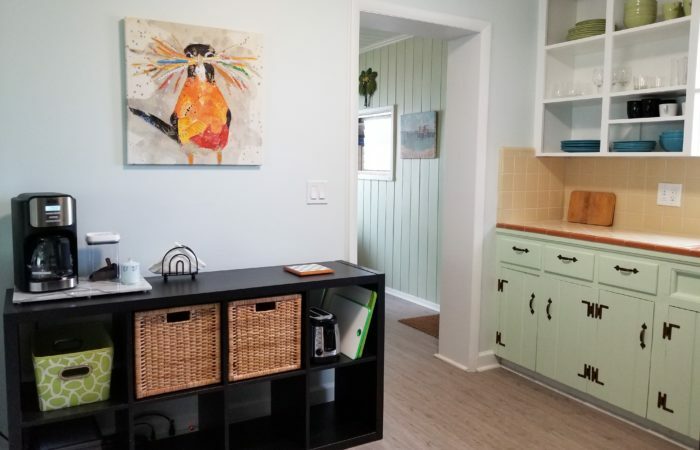 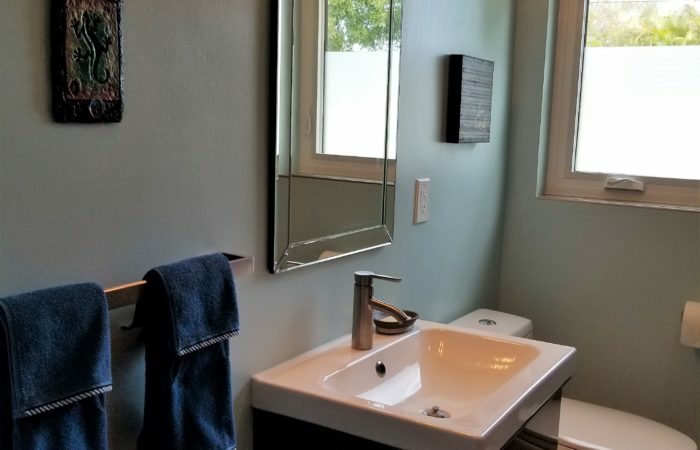 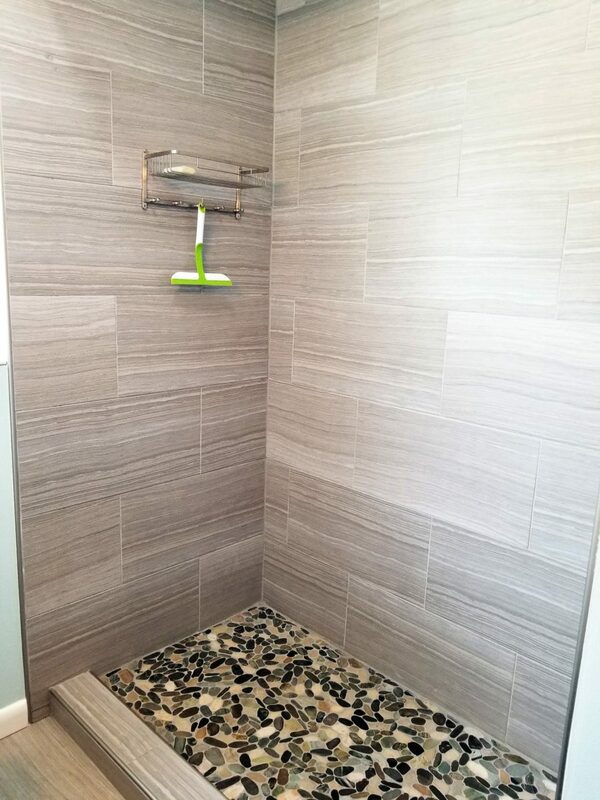 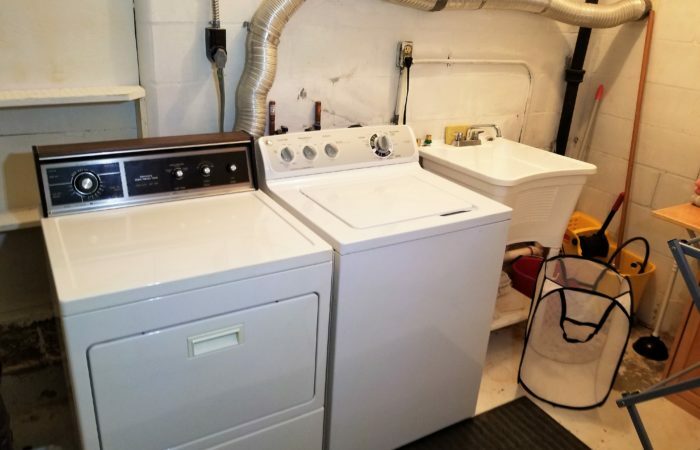 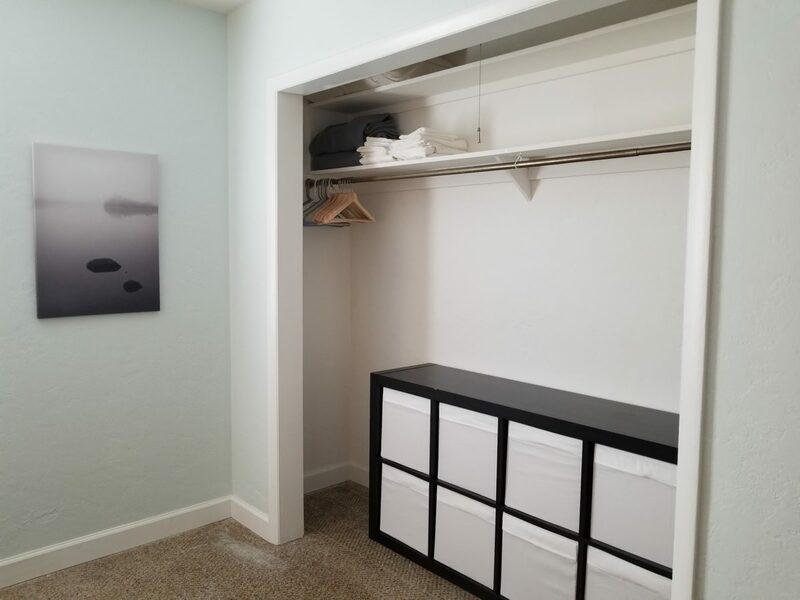 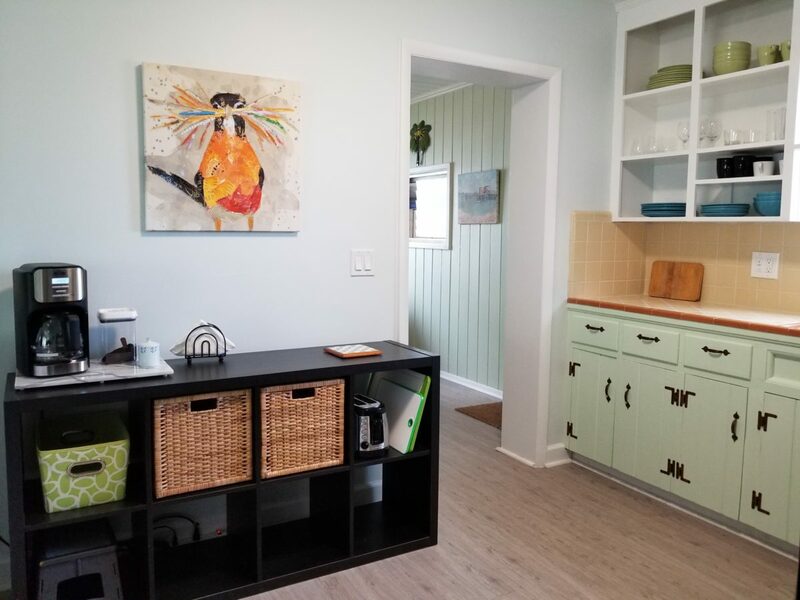 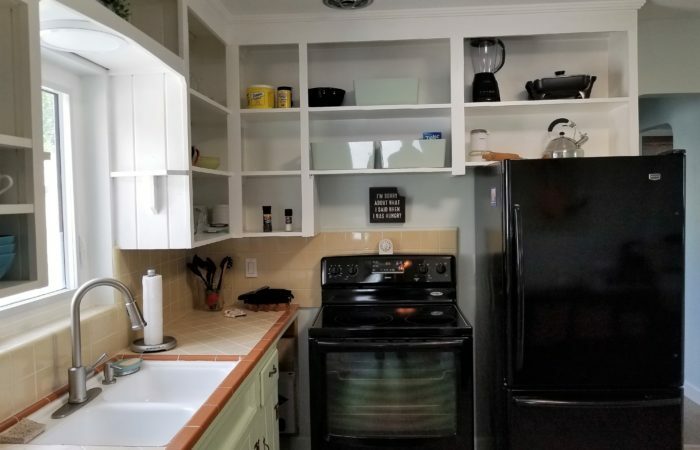 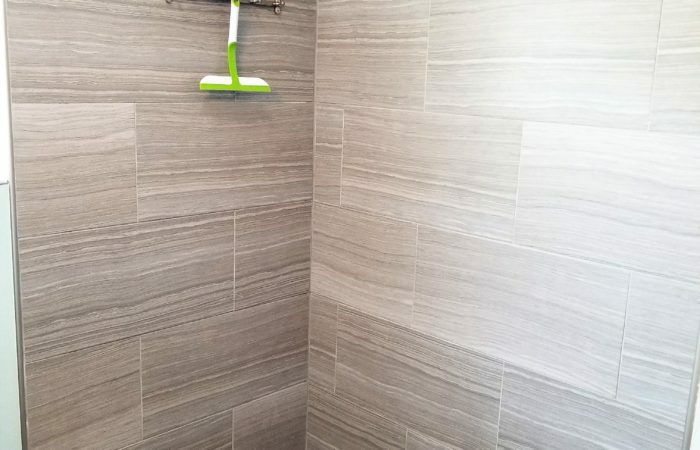 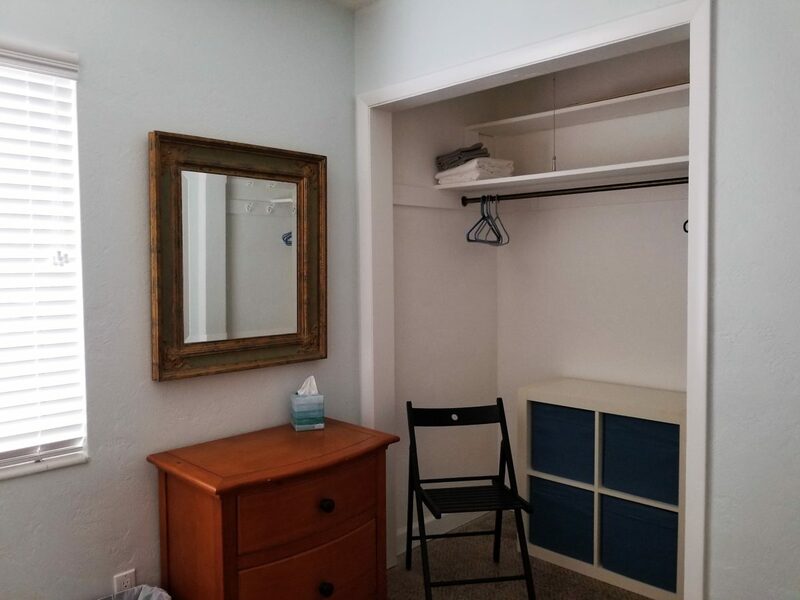 The home comes with all of the necessary features such as a wireless internet, off-street parking, fully washer/dryer plus all the cleaning products for your entire stay. 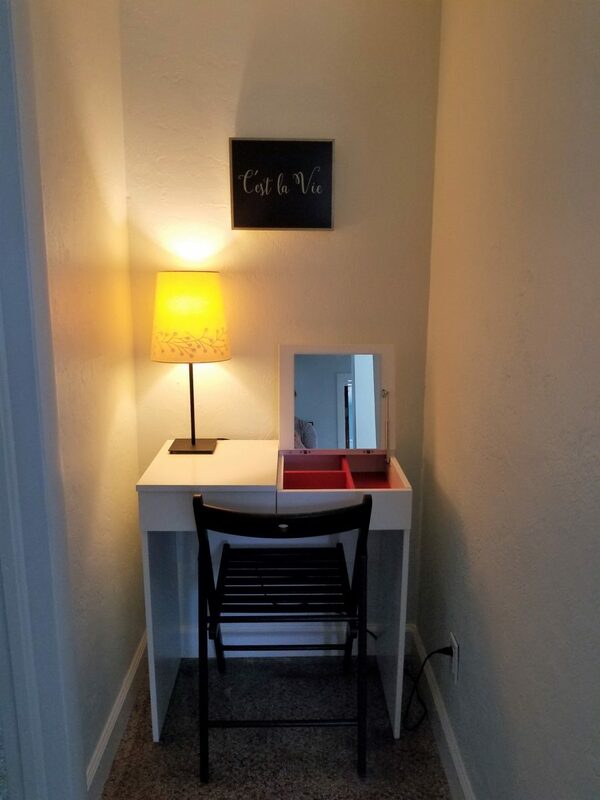 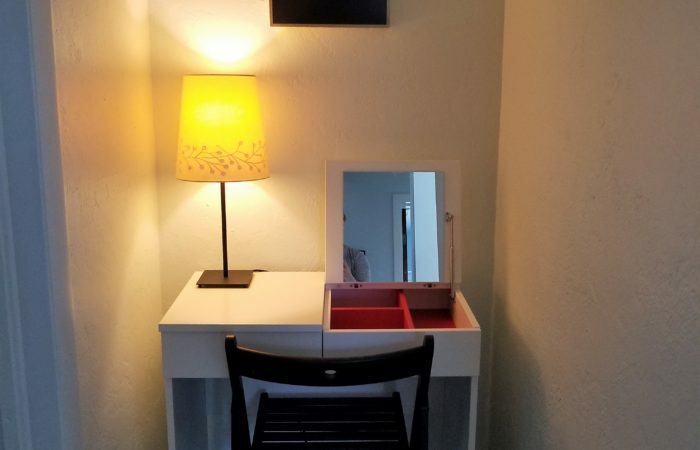 Ideal for a couple or a small family. Gulfport is one of those hidden gems that has been known to be called funky, eclectic, artsy, charming, progressive, welcoming, warm, and yes, even weird. 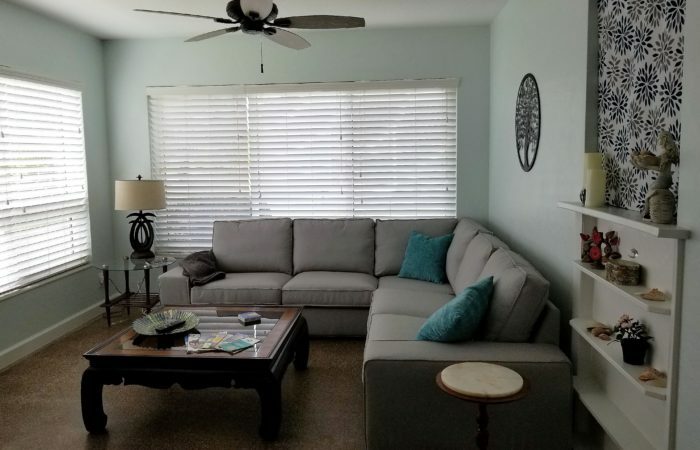 With so much to do you will never be bored in our picturesque beach community. 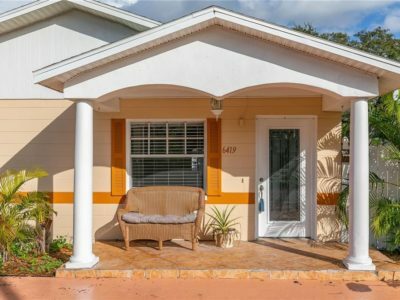 From our culinary hot spots, unique shops and boutiques to the dazzling sunsets you will surely get that “Old Florida” charm with a twist that you won’t find anywhere else in the area.